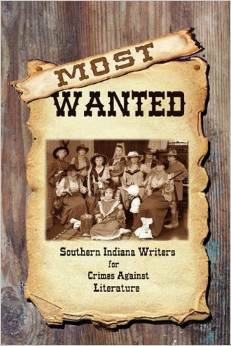 Here’s a poem from the Southern Indiana Writers Group‘s anthology MOST WANTED. is the part I want to destroy. A WRITING PROMPT FOR YOU: Write about a character who becomes unutterably weary of selling — or attempting to sell — something. This entry was posted in Sample Sunday. Tagged poem, the writing life. I get it. Rest up, friend. Then go forth and SELL!! I already know you don’t WRITE with an eye to selling. You always write a story the way it needs to go, not with some imaginary publisher in mind, sitting there like a wizened gnome on your shoulder. That’s what gives your fiction its unique panache. And I still like the story about the wild cow just the way it is.